As a couple we thought about the spacing of our children. We both agreed that a three year age difference felt about right. With that goal in mind we found ourselves pregnant with a second child and an expected due date of our first child’s third birthday! We had no idea we would be that successful. It turned out that Nora was 10 days late but it still left us with children that had birthdays very close together. At first it seemed convenient. We had one family birthday party and all was well. But as the children have grown the unintended consequence of our successful three year spacing is that the month of January has come to be known as “birthday season”. 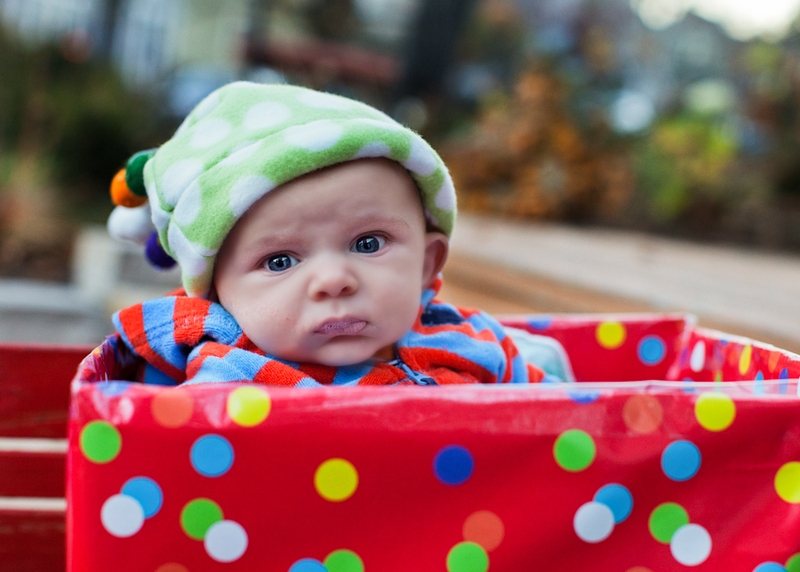 Actual birthdays, a family party, and kid parties, oh my! It all begins with Ben’s actual day of birth on which we allow the kids to choose a restaurant for a family dinner and then we give the birthday person their gifts. This year Ben picked Lombardino’s as his place to eat. 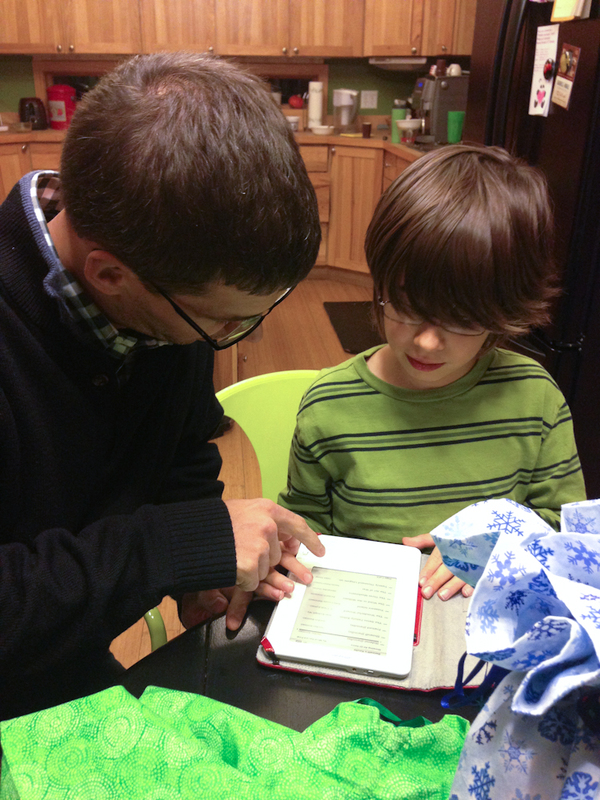 After dinner, we came home and ate Ben’s preferred dessert, cheesecake and opened few little gifts as well as his favorite gift – my old kindle with several books already loaded on it. We try to have a family and family-friend joint birthday celebration the weekend between the kids’ actual birthdays. We had a great time entertaining a group of people in our new home. 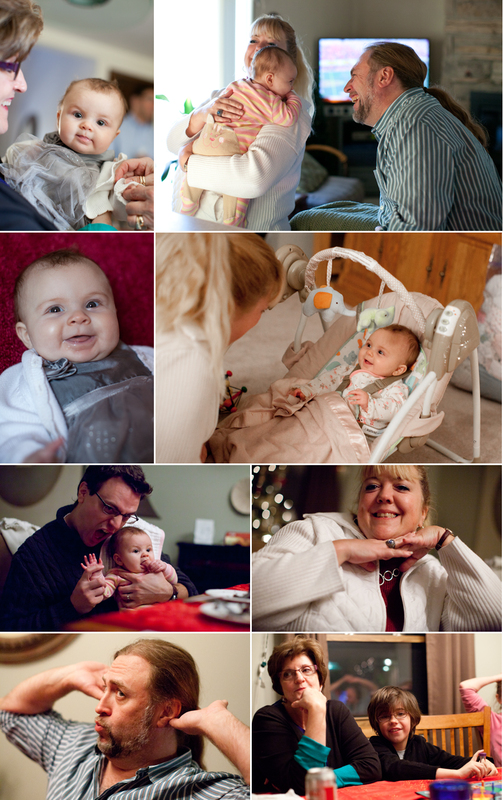 Our friends brought their adorable triplets and the kids all had a great time with family and friends. 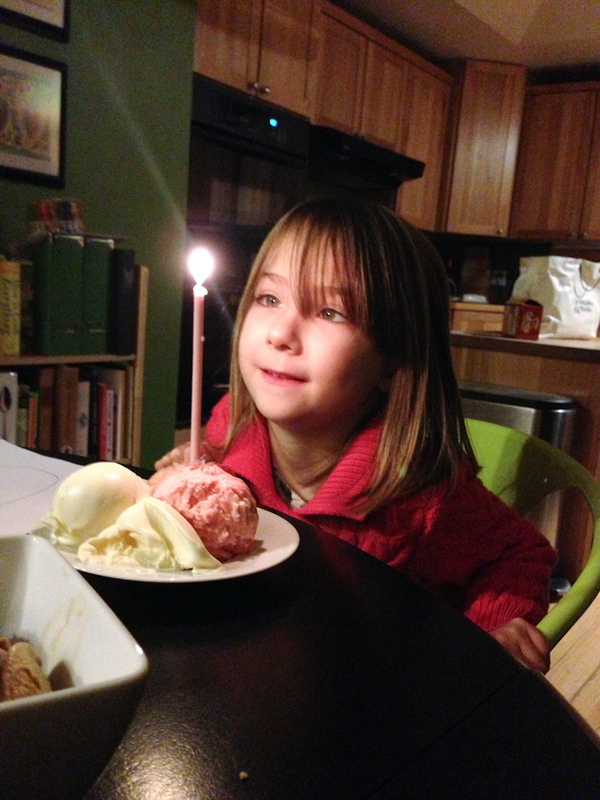 Shortly following the family birthday was Nora’s actual birthday. It started with the celebration in her classroom. It was a little bittersweet for me because this was the 6th and last time I would come to Anna’s class in January to celebrate a birthday in a children’s house classroom (Ben was in this class for three years and Nora will move out of that class next year and in Lower Elementary they celebrate kids’ birthdays but they do so within their own classroom community without parents). The Montessori birthday celebration is just so sweet and it just melts my heart when the kids all volunteer to say nice things about the birthday child. That night Nora picked the Greenbush Bar for pizza. It is of our favorite places for pizza and a longtime date spot for us prior to kids, we had a delicious dinner together (I am thankful that our kids like good food spots). 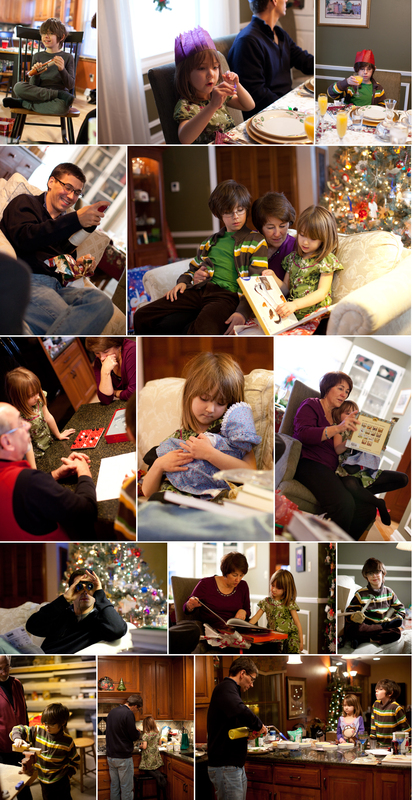 We came home and had dessert and opened presents. With all of the official birthday celebrating done, we now were on to the kid birthday celebrations. The next two weekends each kid had a party with 12 friends. Both kids wanted birthdays at home. They decided on a winter/snow theme. Thanks to pinterest, I came up with some ideas for winter themed birthday activities. Each party had variations on the activities. Ben really wanted to go on a nature walk and there was a little snow for sledding. Ben’s friends also threw darts at a candy filled balloon snowman. At Nora’s party they played in the front yard and made little snow globes for the kids take home. 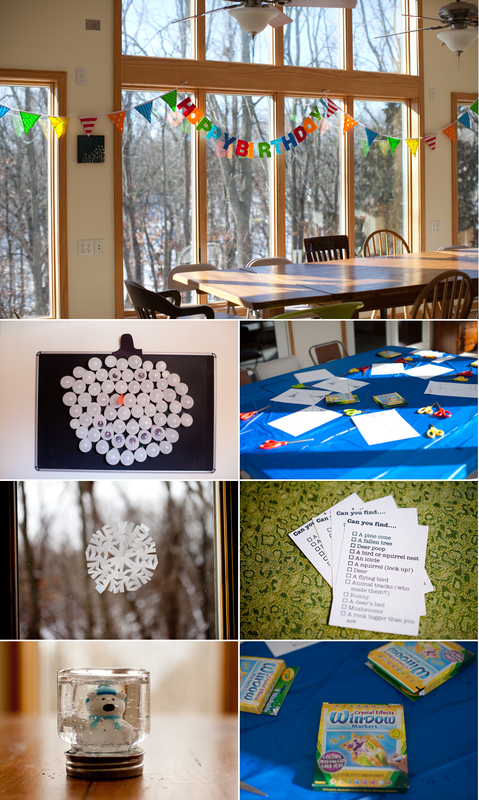 At both parties we had window markers that looked like ice for kids to use on our sunroom windows and paper for snowflakes. In general the kids just wanted to play, eat, drink hot chocolate and top their make-your-own-sundaes with as much stuff as they could. 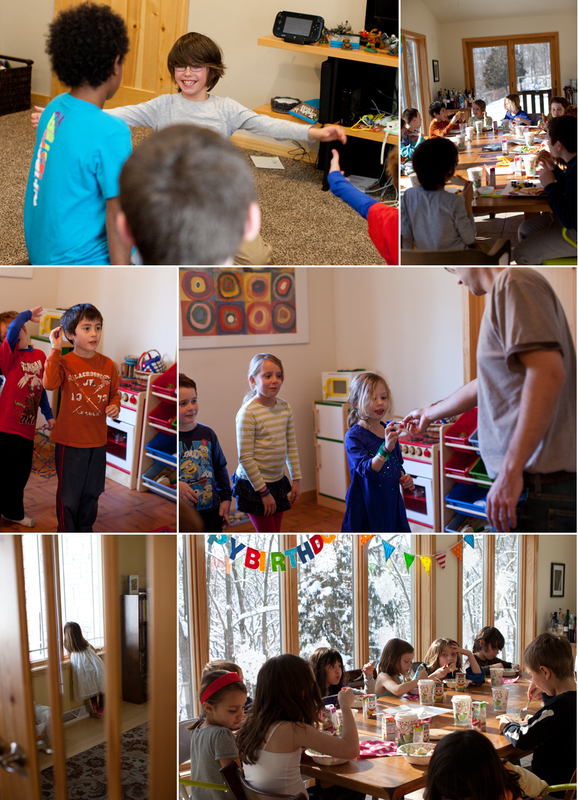 There was so much anticipation for these parties, but I think in the end that both kids had an amazing time and all the hard work of birthday season was totally worth it. 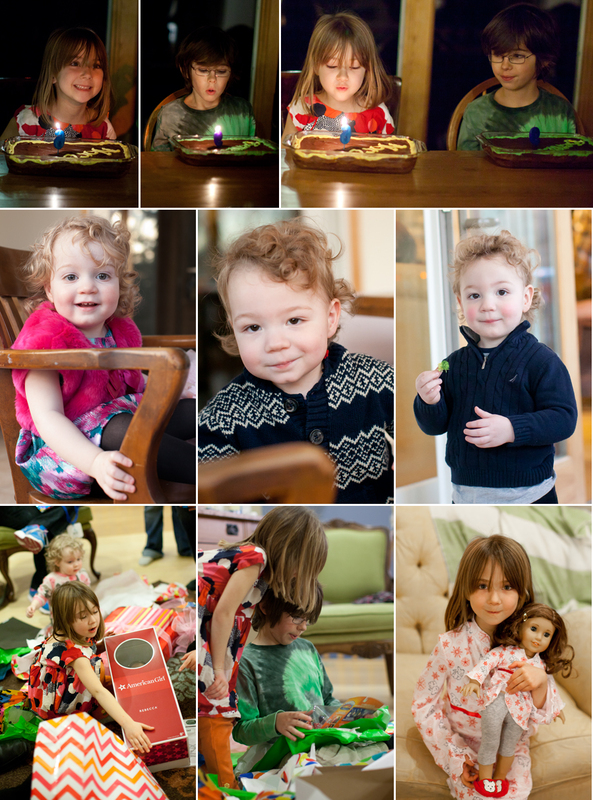 I just wish I had taken more pictures of the kids during the actual party… oh well, there is always next birthday season. Now that Nora is older we have been playing more games as a family. 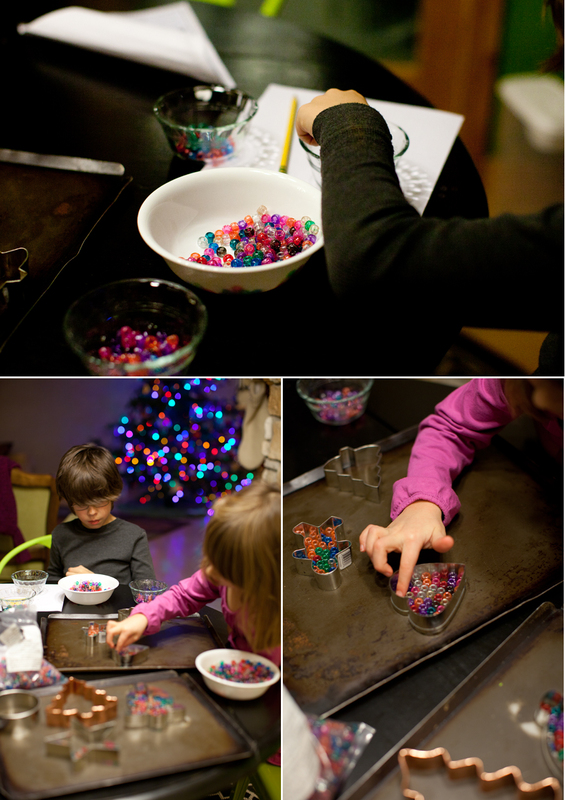 In the last several months we have been enjoying Fluxx and Nora received Haba’s Dancing Eggs for her birthday. Both are tons of fun for the whole family. 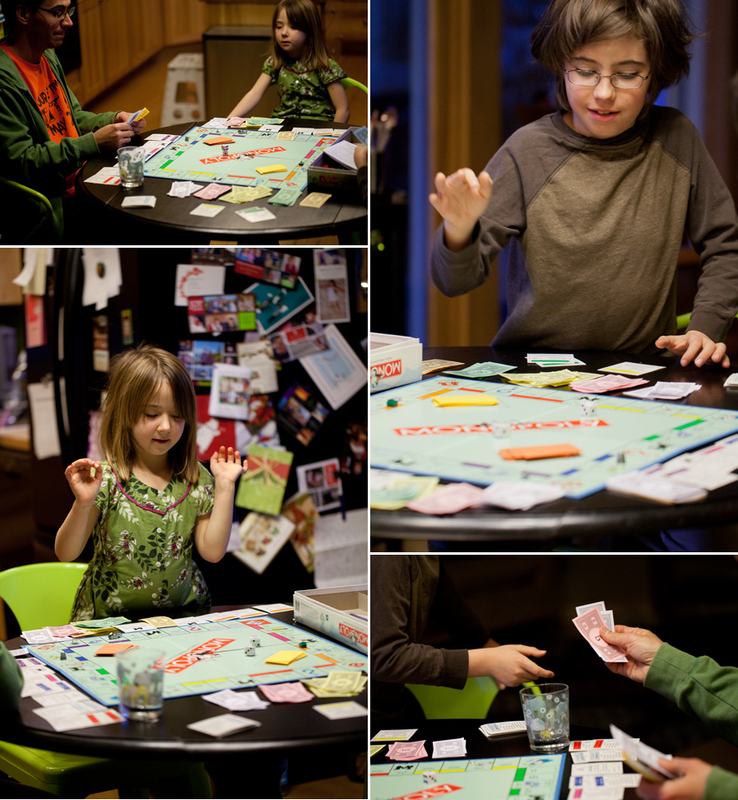 This past weekend the kids wanted to play Monopoly. It was neat to watch the kids play with Josh (who is such a fierce Monopoly competitor that many people have refused to play with him!). Though they didn’t have the experience to come close to winning the game, they stuck it out to the very end and they all had a good time doing it. 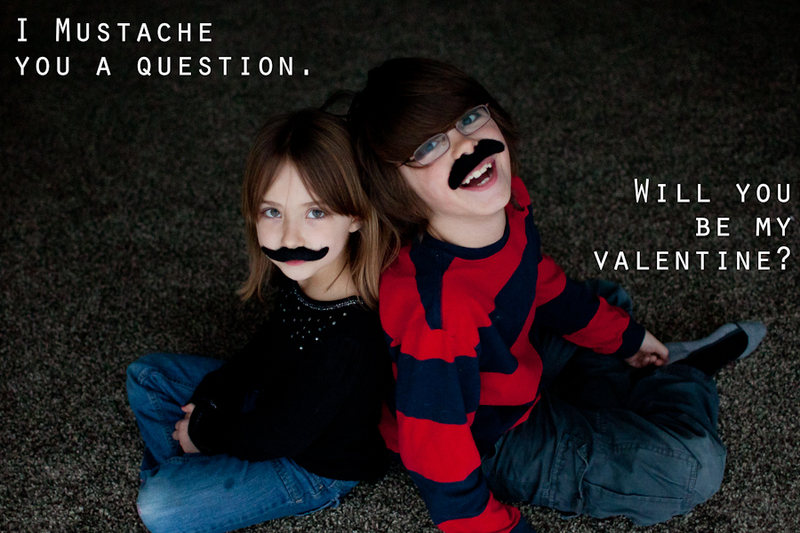 I had a fun with the kids making these valentines for their classes. When I saw these chocolate mustache molds (here and here) I knew I needed to find a way to jump onto the stash bandwagon. 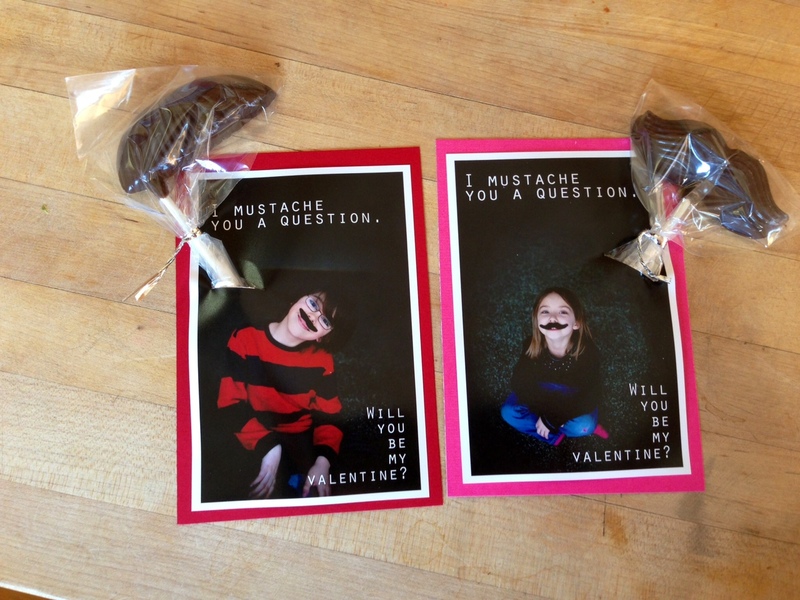 I made most of the chocolate mustache pops (with some help from Nora) and took the photos (with props from here) and the kids helped assemble the photos and cards for their classes. Happy Valentine’s Day everyone. 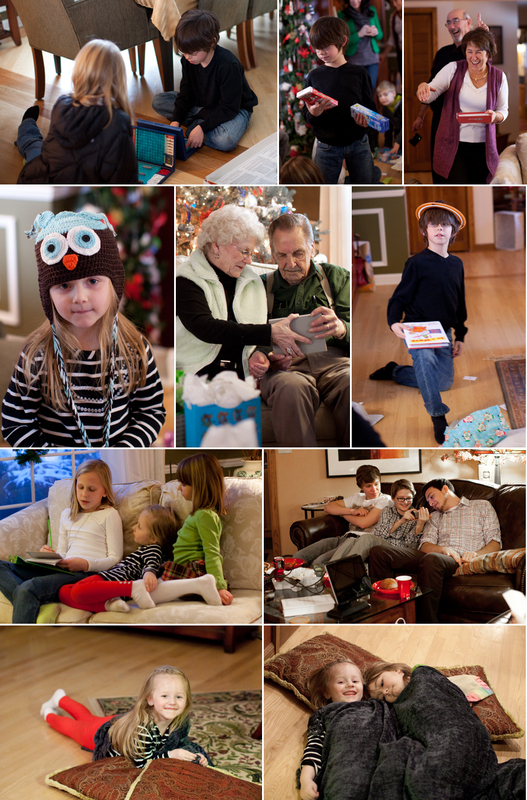 I can’t write a comprehensive recap of the highlights of the 2012 holiday season. It would take too long. There would be too many words. 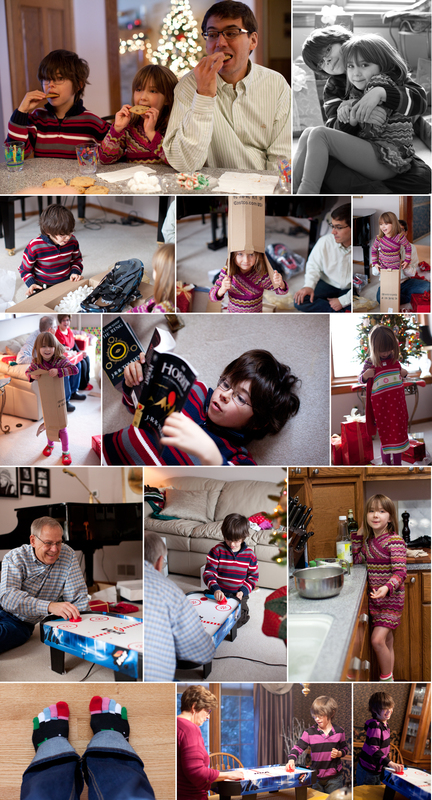 Instead I present you with a parade of party photos from Christmas 2012 (maybe just as long as several thousand words but hopefully cuter – I tend to photograph the kids a lot more than the grown ups). Our family celebration at home. Over the years we have visited several Christmas tree farms. They vary in their attractions and amenities (some have cider and wreaths and goofy photo ops and warming houses full of ornaments and other Christmas stuff and some don’t) WIth our recent move we found ourselves with two no nonsense christmas tree farms that are both neighbors (not walking distance because we live in the country. but a less than 2 minute drive across or down the street). 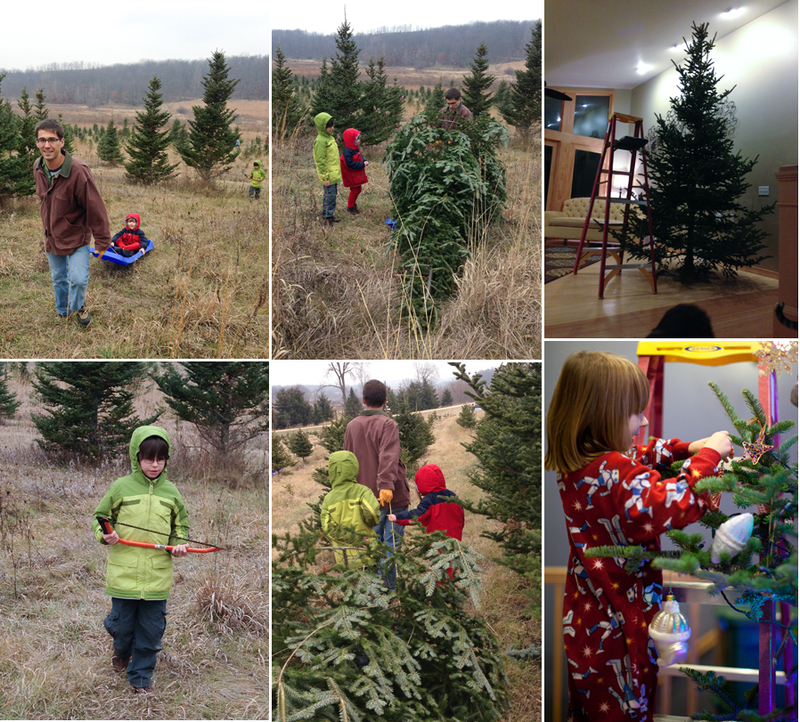 We picked the Cedar Creek Tree Farm. We were looking for the huge tree that we have wanted but have been unable to get for the past 10 years due to house contraints…. and we found a beauty and it just grazed the vaulted ceiling! We were not really thinking about the lighting and decorating part in all of our excitement but after it was all done it really was magnificent. 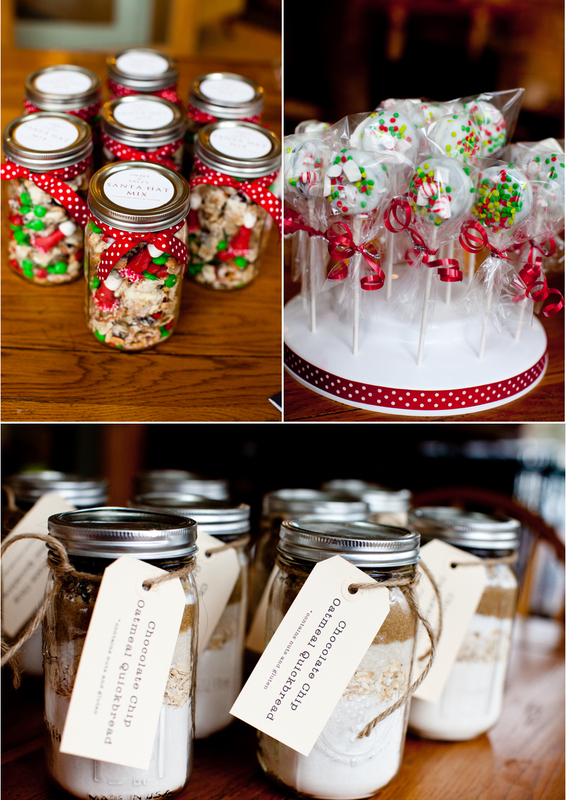 Josh loves time in the kitchen and over the years we have made a variety of treat assortments to give as gifts. Again this year Josh and the kids made an assortment of gluten free treats to share with family and friends. The list included: bacon brittle, apple cider caramels, date pistachio truffles, candied walnuts and candied orange and lemon peels…..Nora helped by learning how to make bacon all by herself and the kids wrapped many dozens of caramels. I am not much of a baker and I didn’t have a lot of time this year to do much crafting before the holiday and so for the school craft and bake sale I consulted my trusty pinterest pins for some good ideas. I made: Santa hat snack mix, chocolate chip oatmeal quickbread mix, chocolate dipped oreo pops (much harder than I would have thought, we broke over half of the oreos in the package, but the kids loved helping and eating the broken oreos which we do not stock in our house on a normal day). I also I made several batches of turtle brownies (a doctored up Ghiraredelli brownie mix from Costco). I always try to package everything up nicely so that it looks great. The craft and bake sale is a long standing tradition at MCMS and it is fun to make some stuff for a great cause. The two days before Christmas break involved a lot of snow and cancelled school. As a result we were able to get a little extra gift making done with the kids. We made pony bead sun catchers. They made the house smell like a toxic waste dump and I would never do it in the house again (I saw someone recommend a toaster oven outside). But they turned out really cute and the kids had a fun time assembling them. I wish I had taken a photo of the finished product. You can see what they look like if you follow the tutorial link above. Ben attended a class at Sector 67 (Madison’s maker space) called The Chemistry of Baking in which he learned how to bake an apple pie from scratch. Since that time he was been itching to make the apple pie recipe at home. 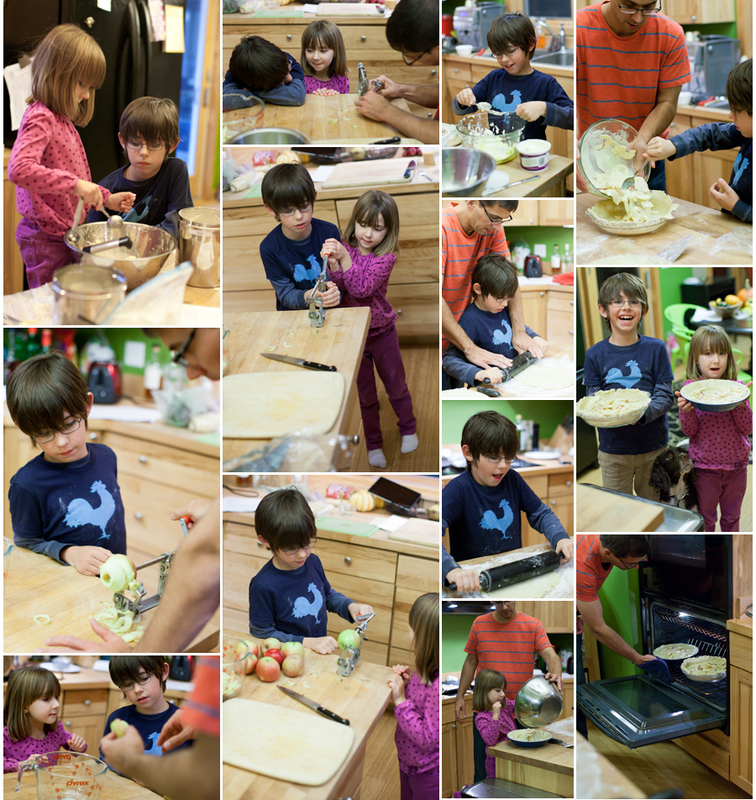 For our friend thanksgiving this year, Ben and Nora decided to make pies to bring to the party – one regular and one gluten free. They are not perfect pies, but the kids love the process that they completed almost entirely by themselves. 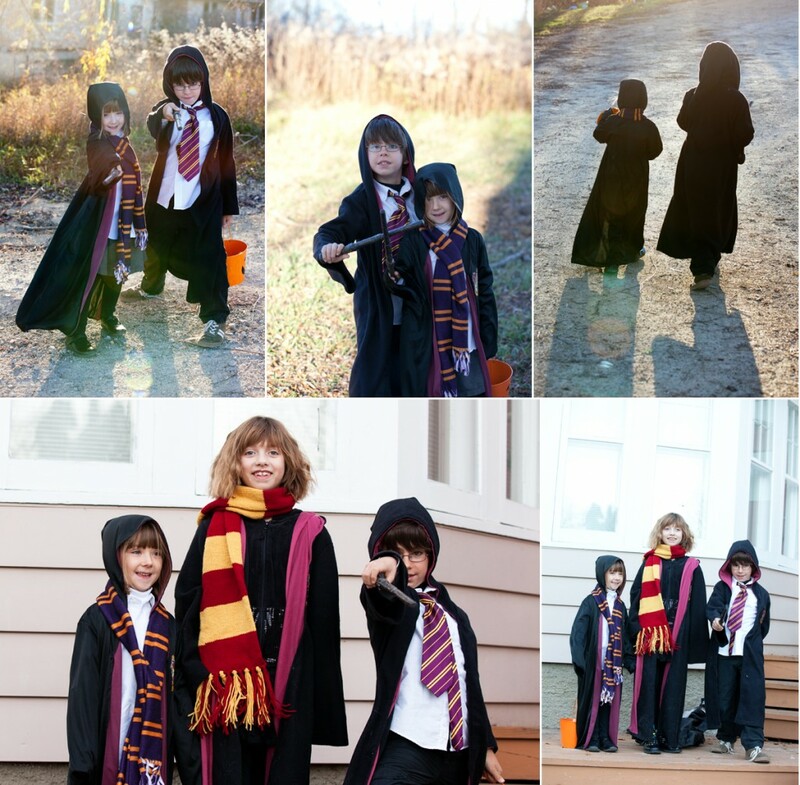 This year the kids went with a group theme – Harry Potter, Hermione, and Ginny Weasley. These kids are now Halloween pros – they efficiently filled their buckets to rush home to sample themselves into belly achea! The house is sold and the move is on! In the past I have blogged some of our home improvement projects and other adventures here. However, our move and the work that will accompany it, the years with of projects and improvements that are haead of us, necessitated a new blog written by both Josh and me. So if you would like to follow our adventures at our new home you can find us at http://www.makingwillowbend.com/. You can read the first post on choosing our new property here. Josh’s company had a family outing at Six Flags. I hadn’t been there since sometime in college. I have a love-hate relationship with the place as I like roller coasters but really get motion sick on spinning rides. I was excited to see what the kids like or didn’t about the experience. 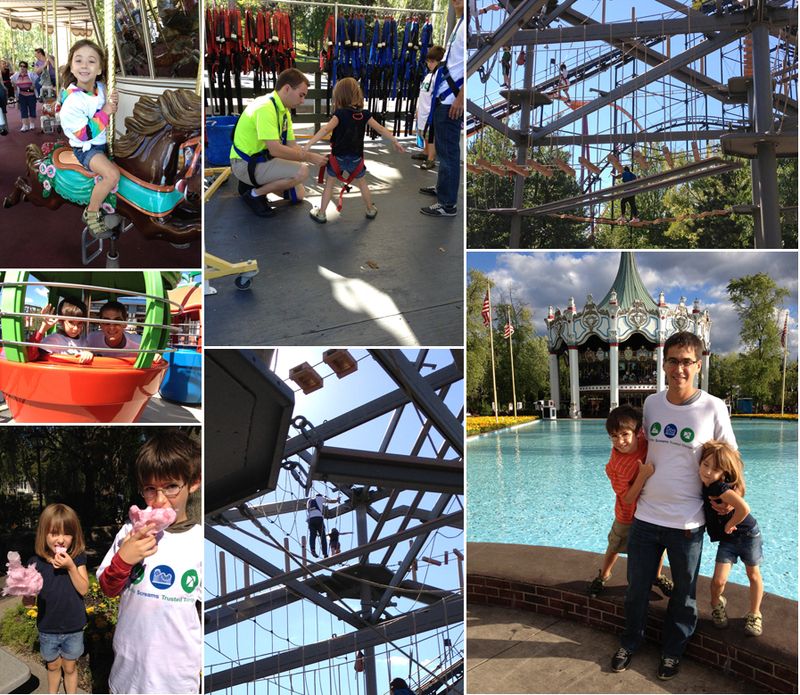 Carnival games, junky food, a small roller-coasters, smaller kiddie rides, bumper cars and a ropes course were big hits. A lot fo the other stuff didn’t even tempt my family. Nora and I went on the demon roller coaster and a tilt a whirl ride while Ben and Josh politely sat them out. Nora probably would have gone on a lot of spinning rides if she would have had a willing partner but it was all I could do to hold it together on the one ride. I can’t say that our family is a huge fan of the amusement parks but we had an enjoyable day in the midst of all the crazy packing/moving stuff back at home. 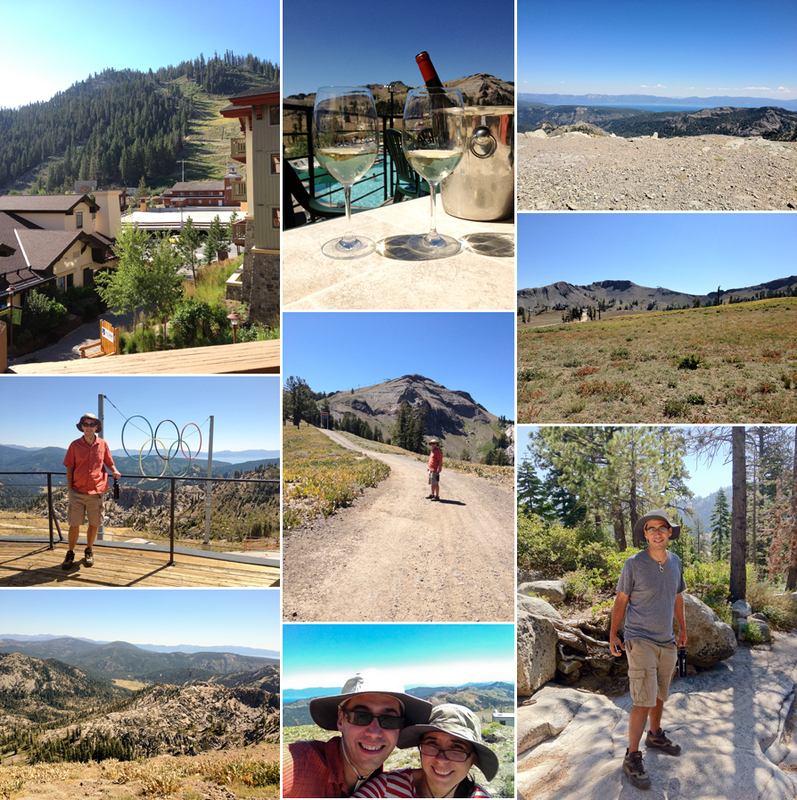 In June when Josh gifted me a planned getaway weekend for later in the summer we didn’t know that in August we would be in the middle of moving for our fifth time. We are now experienced packers and movers and the kids are now old enough to get help/play with all of the cardboard that invades a house while moving. Even tough we are experienced movers, it is stressful and it was great that in the middle of it all we HAD to have a little vacation to Squaw Valley. It was beautiful and relaxing and despite a kayaking excursion that lasted a little longer than I would have liked, I couldn’t have imagined a more lovely break before what will certainly be a very busy fall full of home improvement and moving mayhem Thanks honey I love it when you plan trips your great at it. I love you.